As a young child, I listened to many adult conversations about "this new Ebonite". My father showed off his latest Kaywoodie smoking pipe with its shiny ebonite stem. The 5280 Ebonite collection is crafted from this "miracle" material, so my Dad would say. Hand-polishing creates the exquisite finish on both fountain pens and rollerballs in burgundy/black or a distinctive blue/black model. 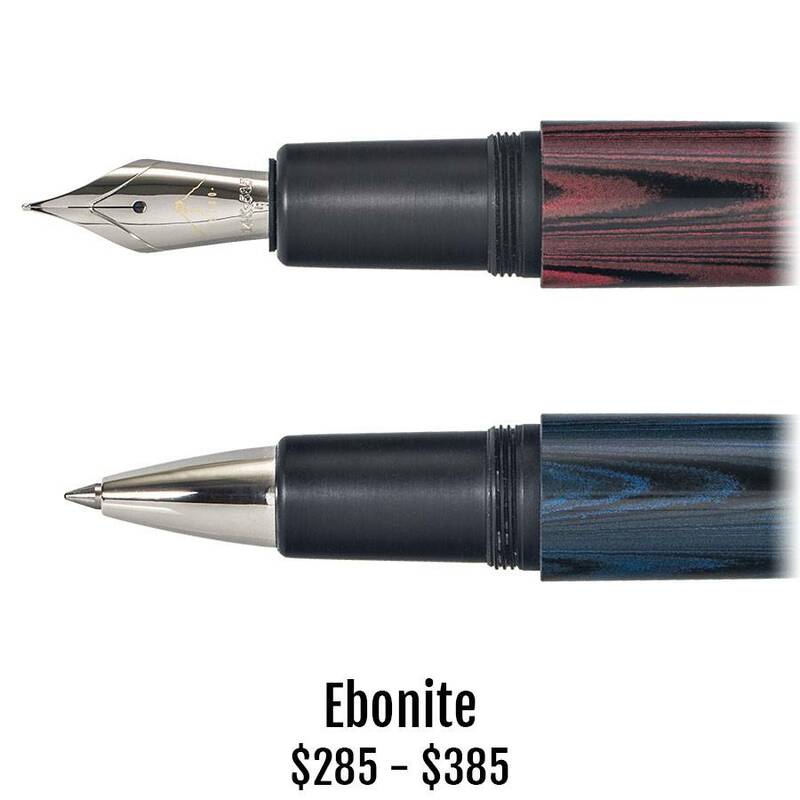 Step into the past with one of these Ebonite 5280 Denver-designed, fine writers.